Are You the Victim of a Misdiagnosed Traumatic Brain Injury? When you are prescribed a medication by your doctor, you trust that it is the correct medication and correct dosage for effectively treat your condition. It is the responsibility of your physician to ask each patient the right questions and to perform the appropriate examinations in order to determine the best medication and dosage for that individual. Unfortunately, at the fault of the physician or another member of the medical staff, medication errors do occur. The impact of medication errors ranges from a minimal reaction to severe consequences, including death. Anyone who is involved in prescribing and preparing medications can be held liable, including physicians, nurses, hospitals, and pharmacists. 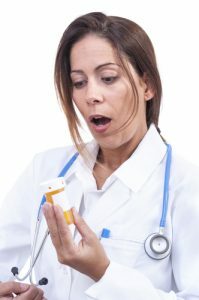 What can I do if I have been a victim of a medication error? If you suspect that you were prescribed or administered the wrong medication and have suffered harm as a result, you should first contact your pharmacist or physician and follow their instructions, then call Thurswell Law at (248) 354-2222 to explore your rights. Our experienced medical malpractice attorneys provide free consultations and will look at your medical records to determine whether or not you have a malpractice case. There is no fee unless you collect. Call us today – with more than four decades of experience, we are the best attorneys to handle your claim. Have a question? Contact Us for Free Case Consultation GET STARTED NOW!